There are more malicious threats on the web than you can imagine, every minute a new scam is created or a new vulnerability is uncovered. These threats come in all shapes and sizes, just having antivirus is not enough anymore. The most important defense is you. The end user is at the forefront of their corporate network and the internet, and must be properly trained on safe practices. One of the purposes of our blogs is to make sure all of our friends and partners are aware of the new threats discovered on a regular basis. When browsing the internet people take the security of popular websites for granted. They assume these sites are safe and it’s only no name sites or unfamiliar links that are perceived to be a possible threat. 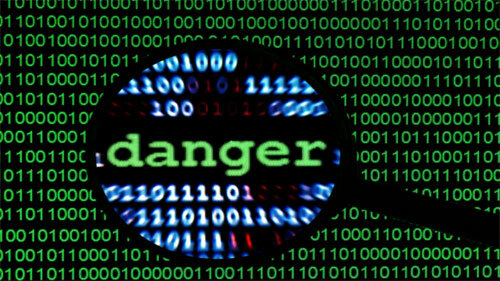 This week we received intelligence of big name websites that contain malicious ads! Clicking on these links can bring harm to your business network and compromise critical business data. You must always use caution, it is very possible for popular sites to experience security breaches just like smaller companies. In fact, their popularity makes them a more desirable target. Over this past week reports have been coming in stating popular websites have been infected causing them to contain malicious links disguised as advertisements. If clicked, these links will infect your computer with cryptolocker ransomware. Cryptolocker is a harmful virus that fully encrypts all your data making it completely useless which can negatively impact your business and bring productivity to a halt. Once hit by this attack, the virus makes its way across your network encrypting all data in its path. Once encrypted the victim will receive instruction on paying the ransom through bit coin. Usually there is a time limit, if the ransom is not paid by the deadline it’s lost forever. Reports state that in these recent attacks there were well over 10,000 victims. These recent threats utilized the TeslaCrypt Ransomware along with the Bedep Trojan. Below we have compiled a list of all the known websites that have been attacked. Safe internet browsing is the best defense against threats of this nature. End users should question everything and can never be too careful.